Mark McMann is dedicated to representing all valued clients with their legal needs including VA Disability Benefits filings, Family and Divorce Law, Personal Injury and Accident Cases, Wills, Trusts and more. With more than two decades of experience as a trial lawyer, Mark McMann has a proven track record of successful outcomes with litigation and settlements. Mark McMann served 10 years in the JAG Corps as a military lawyer. From this experience he gained dedication, loyalty, and work ethic. Whether in the courtroom, or in the office: Mark McMann values professionalism. He also values being respectful and friendly. This makes him easily approachable for any type of case. Considering his former military experience, Mark McMann provides many services specifically for veterans. These services include VA benefits applications, disabled veteran claims, and more. McMann Law, P.A. is a full service Law Firm providing immediate representation for Family and Divorce Law cases. Personal Injury and Auto Accident cases, VA Benefits Claims cases, Probate Wills and Estate issues and more. Our track record of successful litigation and settlement outcomes is one that we are proud of-and one that you can trust to handle your issues with the utmost professionalism. We are here to assist you in a friendly, respectful and efficient manner. 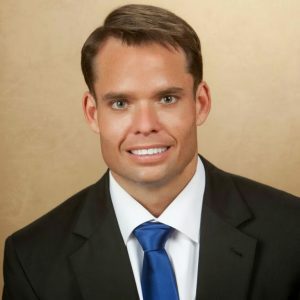 As a military veteran having served 10 years with the JAG Corps as a military lawyer, Mark is best known for his dedication, loyalty and work ethic. We will represent your claim and explain everything that you need to know about the laws governing your case. Mark has over 2 decades of trial law experience and understands the additional and devastating effects brought on by stress and other factors you are facing and will work diligently and professionally towards your favorable outcome. If you need immediate representation, call our offices today for a FREE no-obligation consultation at 863-393-9010.